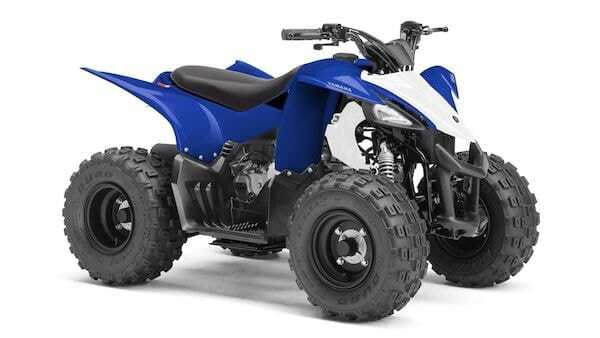 At Yamaha we’re famous for building some of the world’s most successful sport and leisure ATVs – and with an entry-level model for 6-9 year olds, we now make the smallest ones' hearts beat faster. 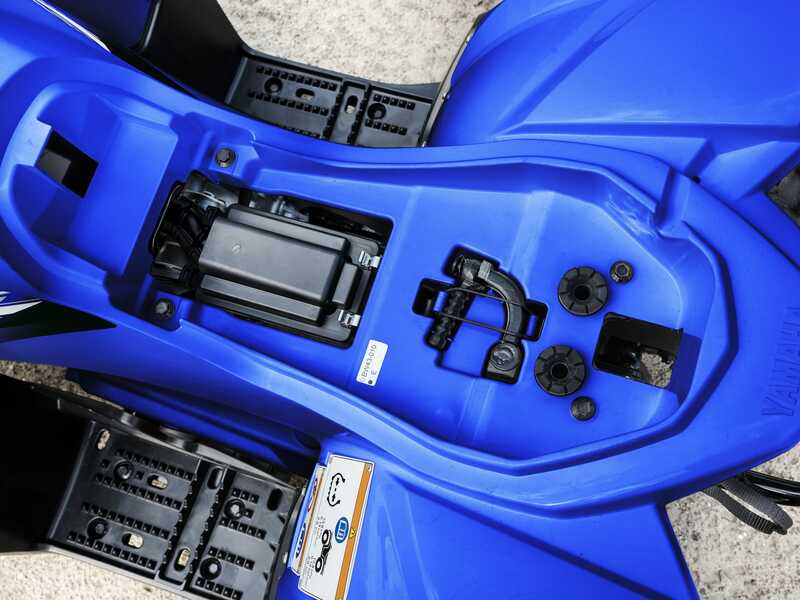 The YFZ50 is equipped with a compact body that’s designed for riders between 6 and 9 years of age. Its flexible plastic panels have smooth edges for added safety, and the spacious riding position can accommodate children of different sizes. Styled just like the Yamaha YFZ450R racer, this is the stuff that dreams are made of! 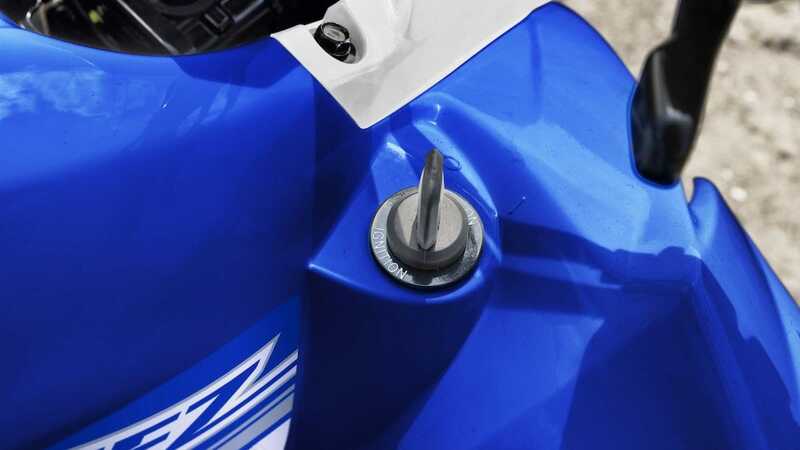 Everything about the YFZ50 has been designed to make it easy to use and fun to ride. The handlebar-mounted brake levers operate in the same way as on a bicycle, making riders feel instantly at home – and there’s an electric start for quick and easy starting. 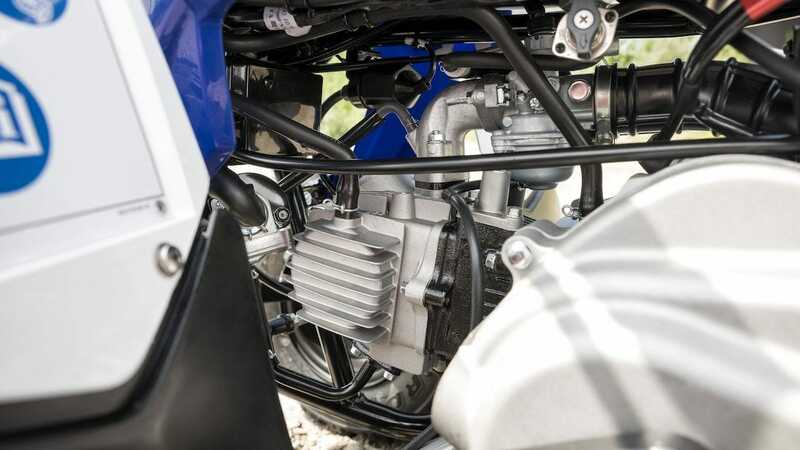 Featuring fully automatic CVT V-belt transmission, the YFZ50 really is child’s play! 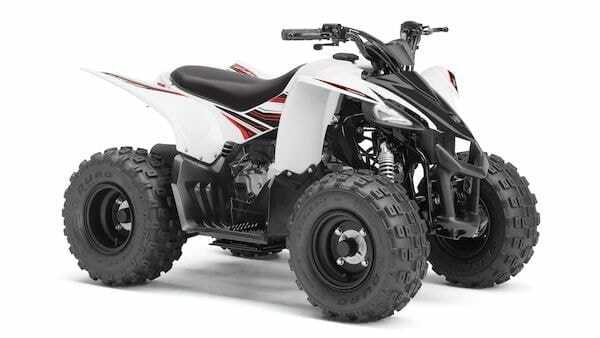 The YFZ50 has been designed to give parents total control over their child’s riding. 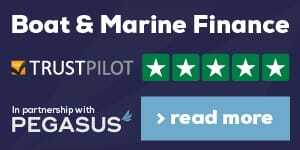 A throttle limiter screw adjusts acceleration and top speed to suit every skill level, while an electronic limiter can be switched to restrict the engine rpm - and a lanyard attached to a tether switch enables parents to cut the engine instantly if required. 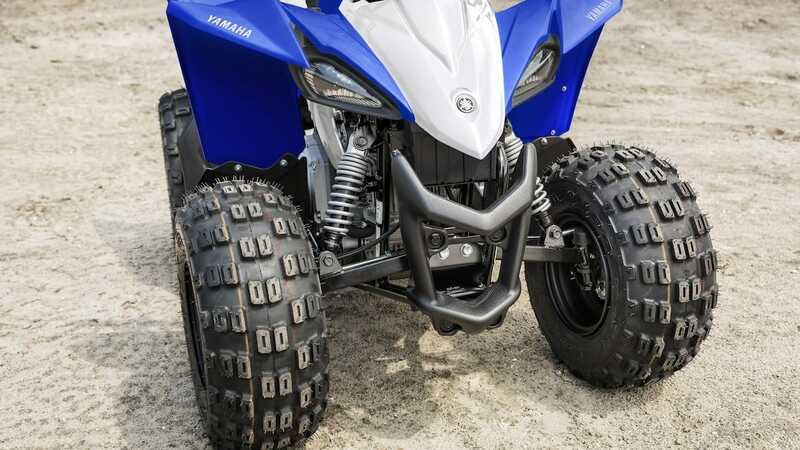 The YFZ50 is designed to provide hours of fun for all the family, and so we’ve made sure that it is easy to own and simple to maintain – even for those parents with no previous ATV experience. The automatic transmission means there’s no clutch to adjust, and the air filter can be inspected and cleaned without the need for tools. Just ride and enjoy! 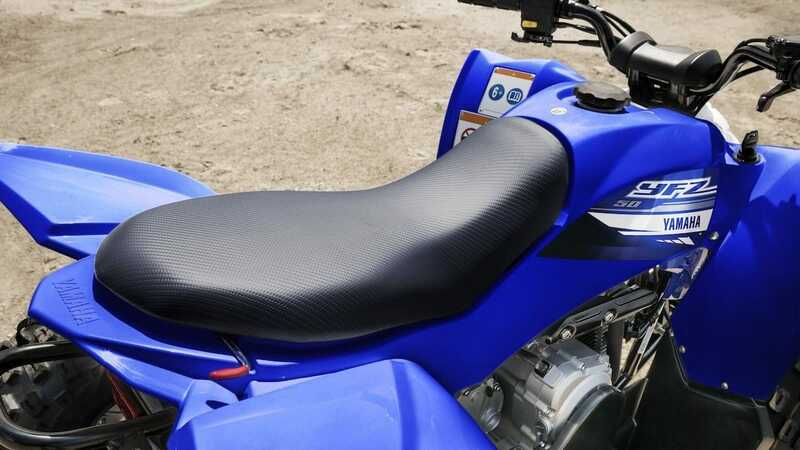 Driving this entry-level ATV is an air-cooled 49cc SOHC 4-stroke engine providing soft, reliable and controllable power - making this an ideal choice for young entry-level riders. Equipped with a low-maintenance CVT automatic V-belt transmission, this engine will deliver hour after hour of fun. Being just 1250mm long and 820mm wide, the compact YFZ50 will fit easily into a van, pick up and even the back of a touring type car, making it easy to transport to the practice track or field. 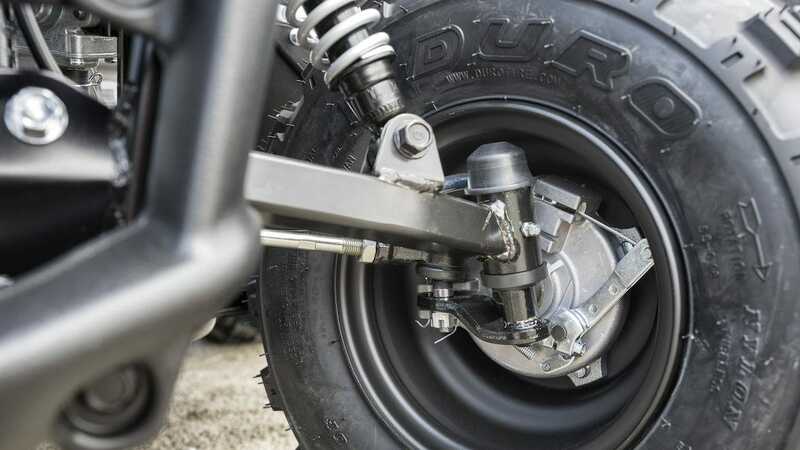 A parking brake prevents it from moving when being transported, and a rear grab handle and front carry bar facilitates loading and unloading.